Pittsburgh AC Fixes & Installations: FREE Quotes! Stuck in a hot house? Got a broken air conditioner? Don't sit at home a sweat this summer. Get your home cool again. We offer emergency air conditioning repair service in the Greater Pittsburgh, PA region. Call today for fast and friendly repair service. Our repair technicians are trusted professionals in getting your air conditioner working again. 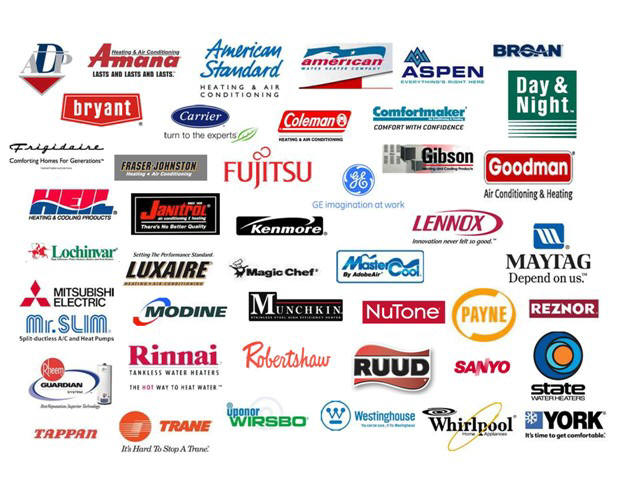 They work on all types of cooling equipment, central air conditioners and ductless AC systems. Cool down in your home again with our Air Conditioning Repairs. In addition to emergency services, we also handle regular repairs, tune-ups, service and installations. Having a broken AC in the summer is the last thing that you desire. You might attempt to fix it yourself. However, keep in mind that a HVAC repairman will have all the experience and parts needed to make the repair. Additionally, hiring a pro will save time and the repair will be handled correctly. The following tips discuss some of common central air conditioning repair we see. Does Your Home Or AC Have Power? Many times, our technicians are dispatched to a house that has no electricity. In these situations, individuals are embarrassed. Also, they are not happy when they get charged for a service call. To avoid this situation, don't forget to check that your air conditioner has electricity. Does it seem like your energy bills are constantly increasing? Do you seem to get more costly utility bills with every summer? While electricity charges usually go up as opposed to down, the increases should not be terribly dramatic. Heat and air conditioning expenses are a major component of most home's budget. However if these bills grow excessively, it can be indicator that your HVAC system will need to be replaced. Do you tend to prefer congregating in one particular room or part of the home because it seems to stay a lot cooler? Are there rooms in your home that don't seem to get cool whatsoever? Irregular cooling is a clear sign of inefficient air conditioner operation. Areas of the house that are exposed to direct sunlight or that on upper floors may get warmer than other areas. However, an efficient air conditioning system should still be able to make them enjoyable. A cooling system that regularly cycles on and off is not normal. As a matter of fact, this can trigger damage to your air conditioner. It is recommended that the system be switched off while waiting for a repair. This is to stop other components from being damaged. Frequently this issue is caused by a faulty control board or relay problem. Of the different weird sounds an AC can make, rattling is one of the most common. We have often make repair calls for rattling air conditioning. If you start hearing your air conditioner rattle, call us, and we will get right out to you to discover what the trouble is and fix it before it turns into bigger trouble. Loose panels on the air handler can also create sounds. This is the simplest explanation for a rattling sound. Occasionally the panels on the cabinet housing the condenser or the evaporator will become dislodged because of screws that have worked loose or weren't screwed tight enough after the panel was opened. Before looking into other issues, make sure the panels are secure. Loose dirt and debris in the unit can make strange sounds. The inside of the air conditioner should be kept as clean. Leaves, sticks, gravel and dirt can enter the air conditioner system if the area around it is not kept clean. This requires quick attention. Debris can damage air conditioning components. Therefore, it is smart to find out how the debris got inside to prevent it from occurring again. The website owners do not do the work performed but rather licensed Pennsylvania contractors perform the actual work.